Summary: Do you have an interest in teaching? Do you need more experience of working in an educational setting before you apply? Or is it that you simply want to make a difference working with young people in a dynamic and fast-paced environment? If so, we have a great opportunity for a Classroom Learning Assistant (CLA) to join our 'Outstanding' school's cover team. This will be on a term time only contract until 31st August 2020. Please see the attached job pack for more details. Summary: We are looking to appoint an exceptional candidate to this full time, permanent position of Teacher of English. This is an excellent opportunity for an enthusiastic and innovative, qualified teacher to join a thriving department within an ‘Outstanding' school. 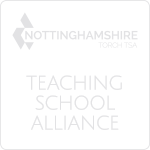 This role would be suitable for an experienced teacher or an NQT. Summary: We are delighted to offer the opportunity for a Teacher of Economics to join our team at Toot Hill School. This post is full-time on a fixed-term basis until 31st August 2019. Summary: We are delighted to offer the opportunity for a Head of Economics to join our team at Toot Hill School. This post is permanent, full-time and carries a TLR for a suitable candidate. Summary: We have an exciting opportunity for an enthusiastic, innovative Second in English to join a supportive department within an ‘Outstanding' school. The successful candidate for this full time permanent position needs to be able to teach the full ability and age range and provide assistance in the leadership and management of the department. This role would be suitable for an experienced teacher. MPS/UPS plus a TLR up to a 2c is available for a suitably qualified candidate. Summary: We have an exciting opportunity for an enthusiastic, innovative lead teacher to join a supportive department within an ‘Outstanding' school starting September 2019. The successful candidate for this full time permanent position needs to be able to teach the full ability and age range and provide assistance in the leadership and management of the department. This role would be suitable for an experienced teacher. MPS/UPS plus a TLR up to a 2c is available for a suitably qualified candidate. Summary: We are looking to appoint an exceptional candidate to this full time, permanent position of Teacher of Mathematics. This is an excellent opportunity for an enthusiastic and innovative, qualified teacher to join a thriving department within an ‘Outstanding' school. This role would be suitable for an experienced teacher or an NQT. Summary: An exciting opportunity for an enthusiastic, innovative teacher to join a supportive department within an ‘Outstanding' school. You will have a passion for Business together with the skills to inspire our students. We would encourage NQTs to apply. Summary: We have an exciting opportunity for an enthusiastic, innovative lead teacher to join a supportive department within an ‘Outstanding' school. The successful candidate for this full time permanent position needs to be able to teach the full ability and age range and provide assistance in the leadership and management of the department. This role would be suitable for an experienced teacher. MPS/UPS plus a TLR is available for a suitably qualified candidate. Summary: We are looking to appoint an exceptional candidate to this full time position of Teacher of Art on a fixed-term basis to cover maternity leave. This is an excellent opportunity for an enthusiastic and innovative, qualified teacher to join a thriving department within an ‘Outstanding' school. This role would be suitable for an experienced teacher or an NQT. Summary: We are looking to appoint an exceptional candidate to this full time permanent position of Head of Physics. This is an excellent opportunity for an enthusiastic, innovative, experienced, teacher to lead a thriving department within an ‘Outstanding' school. MPS/UPS with a TLR 2C (£6,646). Summary: We are looking to appoint an exceptional candidate to this full time permanent position of Head of Science. This is an excellent opportunity for an enthusiastic, innovative, experienced, teacher to lead a thriving department within an ‘Outstanding' school. MPS/UPS or up to L10 for a suitable qualified candidate. 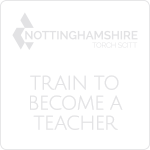 Visit the Torch SCITT website for more information about training opportunities. Interested in Teaching at Toot Hill School? If you are interested in teaching at Toot Hill School please register your interest here. You will be asked to submit an up to date CV which details your qualifications and experience. We will keep your information on record for a maximum of 12 months and will contact you if any suitable vacancies become open. Toot Hill School appoints a new cohort of Classroom Learning Assistants (CLAs) to start each September with the selection process commencing in June/July. Exact details of these vacancies will be displayed on the website at the appropriate time. 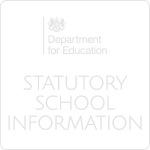 CLAs are part of the Learning support department and a job description for the role and some information about the department can be found using the link below. As well as our annual September intake we occasionally have additional vacancies for CLAs during the academic year. Many of our previous CLAs have used the experience gained in the role to go on to start a career in teaching. If this is a job that you would be interested in please register your interest by e-mailing us. We will keep your details on record for a maximum of 12 months and will contact you if any vacancies become open. During the summer months we are often looking for new Invigilators to help conduct examinations. If you would like to be considered for a role as an Invigilator please register your interest by e-mailing us. We will keep your details on record for a maximum of 12 months and will contact you if any vacancies become open.